Since the shocking murders of 12 people at the headquarters of French newspaper Charlie Hebdo on Wednesday, all of France and much of the world has turned its attention to eulogizing the people killed. Ten of them were employees of the paper, while two were police officers killed in the line of duty. 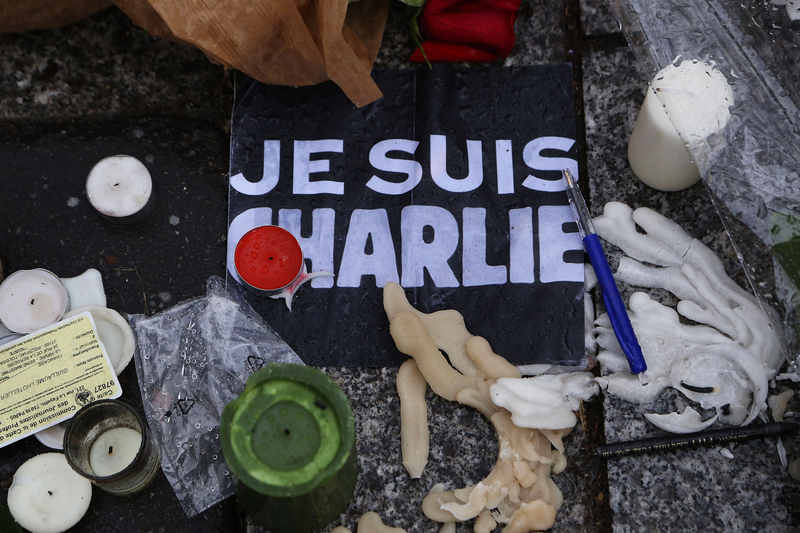 Are you wondering how to help the Charlie Hebdo victims? There are a number of ways, both direct and symbolic, that you can lend your support. The effect of the massacre on French society really can't be overstated. Countless people and communities now find themselves in a heightened state of tension, aggrievement and risk. From the journalists and cartoonists who make their living on bravery and free speech protections, to authorities who must step up vigilance to prevent future attacks, to France's oft-marginalized Muslim community, who're now at risk of further stigmatization and prejudice, the attacks have cast a long, grim shadow. But even in the worst of times, it's worth it to find a way to lend a helping hand. Here are some ways to can contribute to try to make a difference, whether supporting those loved ones the victims left behind, or the very institution of the free press. A little obvious, I grant you, but about as direct a way to send support as it gets, assuming your goal is to support the paper's long-term health, or simply help it rebuild in the short-term. You can donate through the Press and Pluralism Fund, which is already putting forward $250,000 to facilitate Charlie Hebdo's next issue. Be fore warned, the website is in French. The left-hand bar is for one-time donations, the right-hand bar for monthly donations, and the given values are in euros, not dollars. If you're using Google Chrome, be sure to translate the page to English before proceeding. Maybe you're more enthusiastic at the thought of lending a hand to the victims' loved ones. If so, this might be the way for you to go: there's a crowdfunding campaign going, to raise money both for the paper's operations, and to those the victims left behind. As always, it's important to exercise your own best judgement about charitable giving in times like these — the campaign's founder, David Opolon, concedes that he's not precisely sure how the money will be distributed yet, only that it will both serve the paper and closely affected parties. Once again, the page is in French, so an in-browser translation plugin will likely help. Maybe you're in full agreement about Charlie Hebdo's right to publish what they did, and the abhorrence of the killings, but the paper's particular political brand gives you pause about supporting its publication directly. This wouldn't be a surprising position, and free from threats of violence, it's entirely fair — the same free speech rights being championed in their memory allows for fair and humane disagreement. That being so, consider giving a donation to the Committee to Protect Journalists. The CPJ is basically the world's foremost nonprofit group on behalf of imprisoned, threatened and repressed journalists around the world. Established back in 1981, it has a reputation for free press advocacy like few others, and does due diligence to chronicle the sacrifices of members of the press — as an example, you can peruse their annual report on journalists killed around the world. This is less a material means of support than it is a societal one, but it's important. If someone believes, as the perpetrators of the Charlie Hebdo shootings ostensibly did, that making mocking drawings of a religious icon justifies threats, violence and murder, you should call that person out. That's an awful notion, which violates fundamental tenets of civil society that millions of people rely on for protection. Intolerance itself shouldn't be silently tolerated. Also, if someone believes that a terrorist attack by a collection of armed extremists justifies firing shots and grenades into mosques, you should call that person out, because it's similarly inane, dangerous, bigoted and heinous. There's no mistaking that countless moderate and liberal-minded Muslims are victims in all this, too — with European anti-Muslim sentiment already on the rise in places like Germany, this attack is just the kind of polarizing event which could result in more ill-informed, reactionary racism.